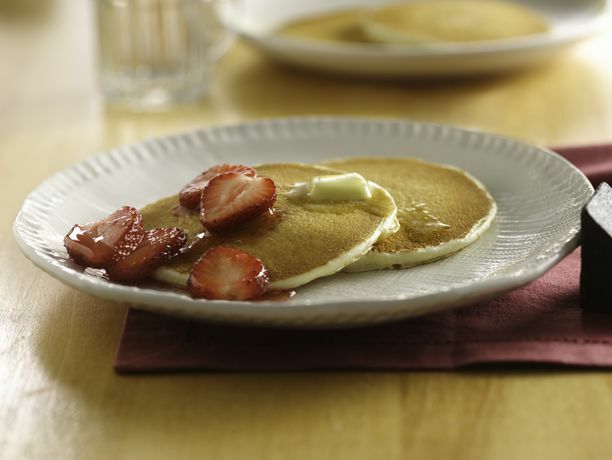 This classic pancake recipe has appeared in every Betty Crocker cookbook since 1950. Pancakes are a breakfast tradition and are so easy to make. Our recipe calls for regular milk, but we also give a variation to use buttermilk. Top either version with maple syrup or fresh fruit. Be sure to try our new twist, made with cornmeal, they’re hearty and have a delicious buttery syrup on top. In medium bowl, beat egg with wire whisk until fluffy. Stir in remaining ingredients just until flour is moistened (batter will be slightly lumpy); do not overmix or pancakes will be tough. For thinner pancakes, stir in additional 1 to 2 tablespoons milk. Heat griddle or skillet over medium-high heat (375°F). (To test griddle, sprinkle with a few drops of water. If bubbles jump around, heat is just right.) Brush with vegetable oil if necessary (or spray with cooking spray before heating). For each pancake, pour slightly less than 1/4 cup batter onto griddle. 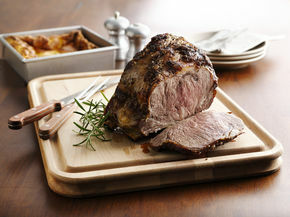 Cook 2 to 3 minutes or until bubbly on top and dry around edges. Turn; cook other side until golden brown. Pancakes are ready to turn when they are bubbly on top, puffed and dry around edges. The second side never browns as easily as the first. Stir 1/2 cup fresh or frozen (thawed and well drained) blackberries, blueberries or raspberries into batter. Substitute 1 cup buttermilk for the 3/4 cup milk. Decrease baking powder to 1 teaspoon. Add 1/2 teaspoon baking soda. Make pancakes with whole wheat flour. Top each serving with 1/4 cup strawberry yogurt arid 1/2 cup sliced fresh strawberries. Substitute orange juice for the milk. Stir in 1/4 cup dried cranberries and 1/4 cup chopped dried apples after mixing ingredients in Step 1. 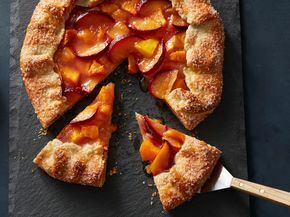 Stone fruit favorites come together in this rustic, free-form tart. 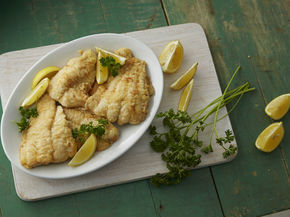 Frying is one of the easiest and most popular ways to cook fish. 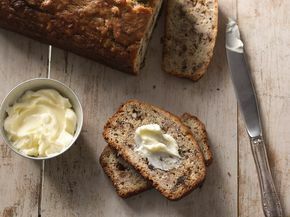 Rich buttermilk, crunchy nuts and flavorful, ripe bananas make this banana bread tops.